I see these birds often flying over our property in Bradford, Ontario. Typically there are one or two. The last couple of days there have been 5 of them soaring together diving and circling. I finally was able to get a few pics without them looking like black silhouettes. Can someone identify the type for me? 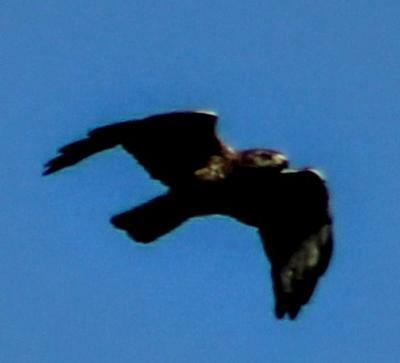 Thanks for sending your report and pictures - I'm sure one of our readers will be able to identify this hawk for you!